Dr. Lewis received his B.S. and M.Ed. in Business Education and Education Administration/Supervision from Southern University in Baton Rouge, Louisiana. Dr. Lewis completed his doctoral studies in Educational Leadership/Teacher Education from Colorado State University in Fort Collins, Colorado. 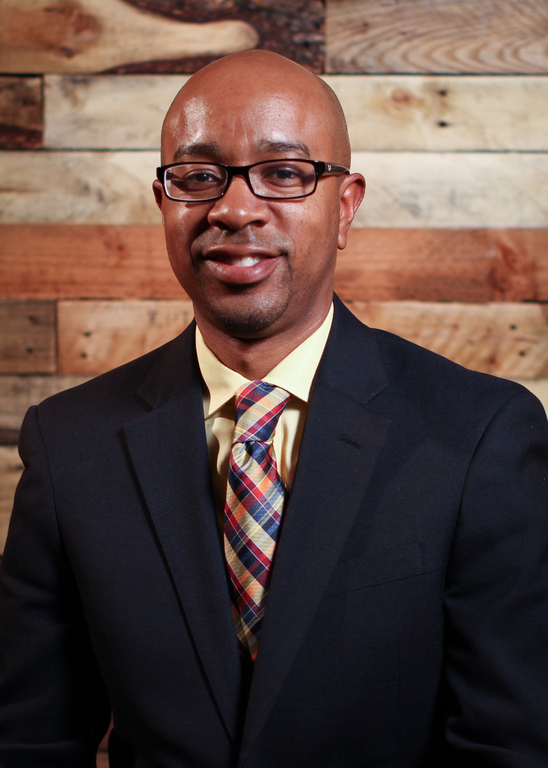 Dr. Lewis currently teaches graduate courses in the field of Urban Education at the UNC Charlotte. His experiences span the range of K-12 and higher education. From 2006-2011, Dr. Lewis served as the Houston Endowed Chair and Associate Professor of Urban Education at Texas A&M University. In 2001-2006, he served as an assistant professor of teacher education at Colorado State University. During the 1994-1998, Dr. Lewis served as a Business Education teacher in East Baton Rouge Parish Schools (Baton Rouge, LA), where he earned Teacher of the Year honors in 1997. Dr. Lewis has over 100 publications including 70+ refereed journal articles in the leading academic journals in the field of urban education. He has received over $7 million in external research funds. To date, Dr. Lewis has authored/coauthored/co-edited 20 books: White Teachers/Diverse Classrooms: A Guide for Building Inclusive Schools, Eliminating Racism and Promoting High Expectations (Stylus, 2006); The Dilemmas of Being an African American Male in the New Millennium (Infinity, 2008); An Educator’s Guide to Working with African American Students: Strategies for Promoting Academic Success (Infinity, 2009); Transforming Teacher Education: What Went Wrong with Teacher Training and How We Can Fix It (Stylus, 2010); White Teachers/Diverse classrooms: Creating Inclusive schools, Building on Students’ Diversity and Providing True Educational Equity [2nd Ed.] (Stylus, 2011); Yes We Can! : Improving Urban Schools through Innovative Educational Reform (Information Age, 2011); African Americans in Urban Schools: Critical Issues and Solutions for Achievement (Peter Lang, 2012); Black Males in Postsecondary Education: Examining their Experiences in Diverse Institutional Contexts (Information Age, 2012); Improving Urban Schools: Equity and Access in K-16 STEM Education (Information Age, 2013); Black Male Teachers: Diversifying the United States’ Teacher Workforce (Emerald Publishing, 2013); An Educator’s Guide to Working with African American Students: Strategies for Promoting Academic Success [2nd Edition] (LEC Press, 2013); African American Male Students in PreK-12 Contexts: Implications for Research, Policy & Practice (Emerald, 2014); Teacher Education & Black Communities: Implications for Access, Equity and Achievement (Information Age, 2014); Autoethnography as a Lighthouse: Illuminating Race, Research and the Politics of Schooling (Information Age, 2015); Priorities of the Professoriate: Engaging Multiple Forms of Scholarship across Rural and Urban Institutions (Information Age, 2015); High School to College Research Studies (University Press of America, 2015); Reaching the Mountaintop of the Academy: Personal Narratives, Advice and Strategies from Black Distinguished and Endowed Professors (Information Age, 2015); An Educator’s Guide to Working with African American Students [3rd Edition] (LEC Press, 2016); Black Female Teachers: Diversifying the United States’ Teacher Workforce (Emerald, 2017); Global Issues and Urban Schools: Strategies to Effectively Teach Students in Urban Educational Environments around the Globe (Information Age, in-press).